How soon after I renew my membership should I have my GAM Golf Card? It depends when you sign up. GAM Golf Cards are not back from the printer and ready to be mailed until mid-March. So if you sign up from September – March you will not get your card until April. After April, you should get your card within 15 business days after you sign up for your GAM membership. If you do not receive your membership materials in a timely fashion, please contact membership@gam.org. What should I do if I have not received my card? Contact the GAM at membership@gam.org. Make sure to include your first and last name in your email as well as the name of your member club and your mailing address. And please, if it is a month to six weeks after you signed up and have not received your card please contact us right away so that we may ensure your card and member packet gets to you. If you have entered an email into your personal profile on the GAM web site, you can have your login information emailed to you. If not, email membership@gam.org. Be sure to include your first and last name and the name of your member club. Can I change home clubs? Yes. You can change home clubs and have all of your scoring history transferred. Most of the time, you can take care of the transfer through the GAM web site at the time of renewal. Log into your account and instead of selecting the option to renew, select the option to transfer and follow the prompts. 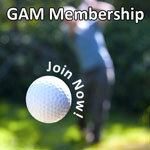 If your club is not set up for online transfer and registration, contact the GAM at membership@gam.org. 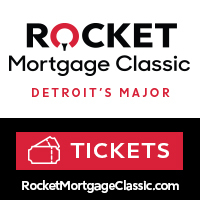 Most private clubs and some clubs without real estate such as the Michigan Women's Golf Association and Michigan Publinx are not set up for online registration; in those cases, registration must be taken care of through the club itself. Please note that once you have registered and paid for your annual membership, you will not be able to change home clubs until registration time for the following season. How can I change my mailing address or email address? Why do I have to enter an e-mail address? 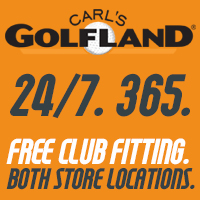 You will not be able to access your GAM account and GAM/USGA Handicap Index powered by GHIN unless you have entered an e-mail address into your profile. Having an e-mail address entered into your profile enables you to retrieve your login information and gives you access to the bi-weekly E-Reivision and E-Links Newsletter. It also ensures that you get your receipt and confirmation for membership, tournament and GAM Golf Day registration. You can always opt out of one or more of the GAM e-mails by going to your profile and clicking "edit" next to your e-mail address. You will be given a list of types of e-mails you may receive from the GAM and can simply check "no" next to the types you do not wish to receive. EFFECTIVE OCT. 1, 2018 YOU MUST HAVE A UNIQUE EMAIL TO USE THE GHIN SYSTEM. YOU WILL NOT BE ABLE TO HAVE TWO OR MORE PEOPLE IN THE SAME FAMILY SHARING AN EMAIL ADDRESS. When does my GAM Golf Card Membership expire? All GAM members who belong to public golf courses will see their membership expire on Dec. 31 regardless of when they signed up for GAM membership. Beginning Oct. 1, anyone who registers or renews for GAM is good through the end of the following year. How do I get my Golf Digest subscription that is part of my GAM member benefits? You don’t have to do anything. Your magazine should come to you automatically. Please allow two months for the subscription to start. You will automatically get Golf Digest. If you already subscribe to Golf Digest, your subscription will be extended by one year.